After graduating from McMaster University with a Master of Science in Physiotherapy in 2005, I returned home to Thunder Bay to begin practicing. Having worked in a variety of health care settings over the past 10 years, including private funded, public funded and long-term care, I have gained insight into a variety of patient populations and conditions. Currently, I co-own and manage Fairway Physiotherapy & Sports Injury Clinic. My primary areas of interests include shoulder-neck disorders, vestibular (dizziness) therapy, temperomandibular dysfunctions and lumbo-pelvic-hip disorders. After completing the Intermediate Diploma in Advanced Manual and Manipulative Therapy in 2009, I have pursued a variety of other training in myofascial therapy, Mulligan therapy, temperomandibular disorders and vestibular assessment and management. 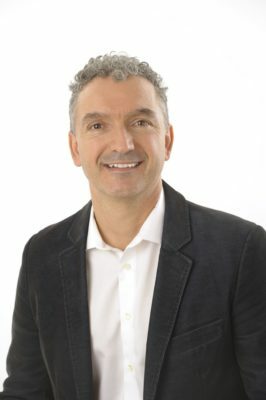 I also hold Certifications in acupuncture through the Acupuncture Foundation of Canada Institute and in GunnIMS Acupuncture through the Institute for the Study and Treatment of Pain, and have trained in the Gokavi Transverse Technique (GTT). I completed my Advanced Diploma in Manual and Manipulative Therapy in 2010. Currently, I am in the process of pursuing my Doctorate in Health Sciences through St. Augustine University and OMPT Degree through McMaster University. Over the past few years I have welcomed a variety of students into my practice setting, offering placements for entry-level physiotherapists, athletic therapists and kinesiologists. I also provide rotations/placements for Medical Residents from the Northern Ontario School of Medicine, as an Assistant Professor in the Clinical Sciences Division. I primarily believe in an active approach to patient care and empowering the client to achieve their optimal health. I welcome direct referrals for physiotherapy assessment and treatment through the clinic for any patient in Thunder Bay and the surrounding region.